Our 2 AA 4 Silver Star luxury hotel in Wokingham near Reading and Bracknell, offers 174 beautifully furnished tranquil bedrooms ranging from Standard, Executive, Family and Suites. 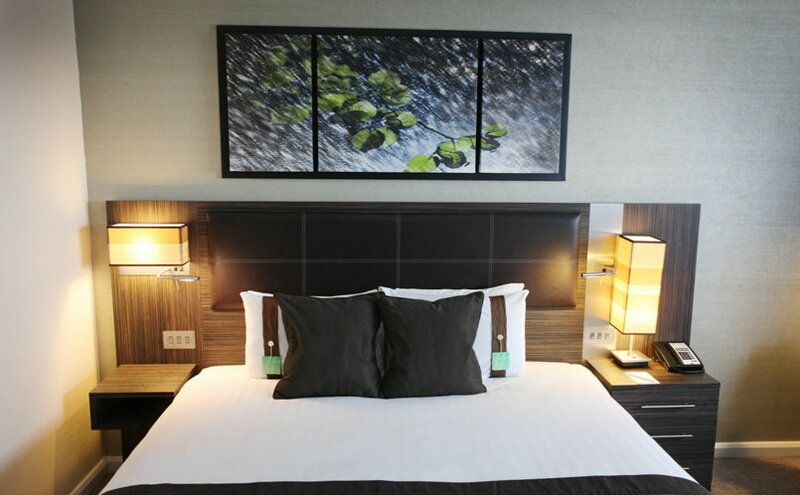 Holiday Inn Reading M4 Jct10, offers luxurious spacious tranquil en-suite bedrooms, with air-conditioning, 32" flat screen TV with selection of Freeview channels, hairdryer, ironing board and bedroom safe. There is a comfortable work desk and High-Speed Fibre-Optic Internet offered in the rooms. Spacious bathrooms with bath and shower including Gilchrist and Soames luxury guest toiletries. Complimentary secure underground parking is provided for hotel residents. In addition, the hotel is a 1-minute walk from the Winnersh Triangle Train Station, on the Reading to Waterloo line and a mere 6 minute train journey to Reading for the Reading to Paddington fast train (20-minutes) making it the ideal location for a Family Hotel Break in or around Berkshire. Our 4 Silver Star hotel offers a range of Packages to enjoy such as Spa, Legoland, Romantic and Business Traveller packages. "Nice bright colours, friendly attitude, cleanliness. The rooms are nice, clean, modern and cosy. The atmosphere is perfect as much for business as leisure. You can find all you need in the hotel. Very helpful staff ready to go extra mile and making you feel special all the time. Breakfast buffet offers various selections and the food was really tasty. The bar and restaurant services - high level. Definitely will recommend the hotel and this will be my choice again"
We're in a great location if you're looking for hotels near Reading or Wokingham. To book your Hotel Accommodation in Wokingham or Reading please contact us on 0118 944 0444 or email reservations@hireadinghotel.com should you require any additional information.